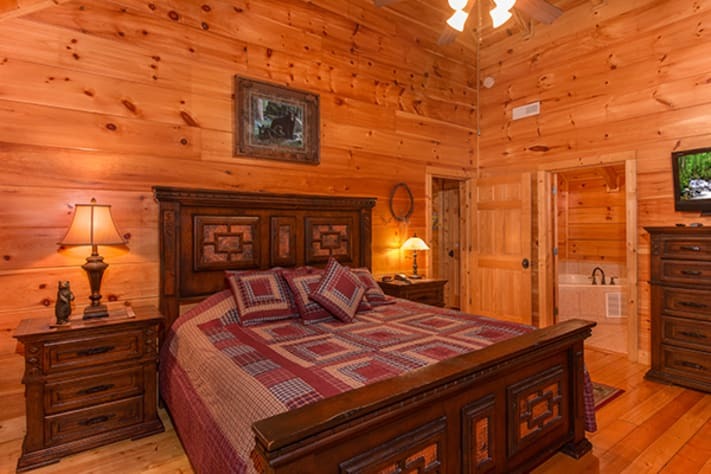 50% off nightly rates, 2 night minimum. Kick off your shoes! 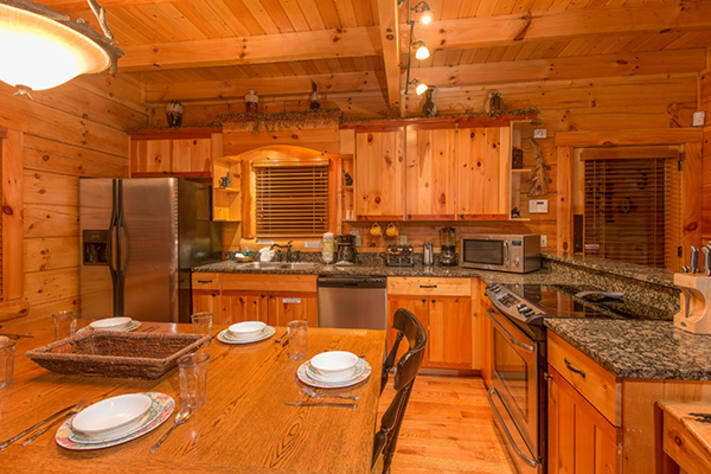 A BEARFOOT PARADISE awaits in this incredible 3 bedroom / 3 bath, 2 1/2 bath cabin for 16 guests! 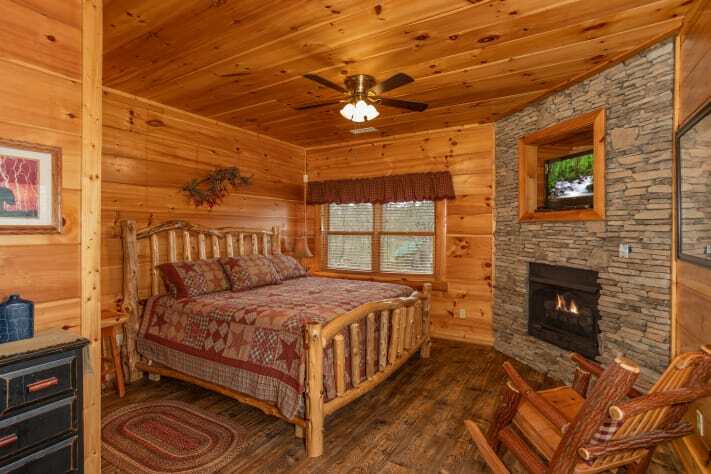 Three separate King master bedrooms are spread out on 3 levels of luxury mountain living and provide each guest the space they need to enjoy their vacation. 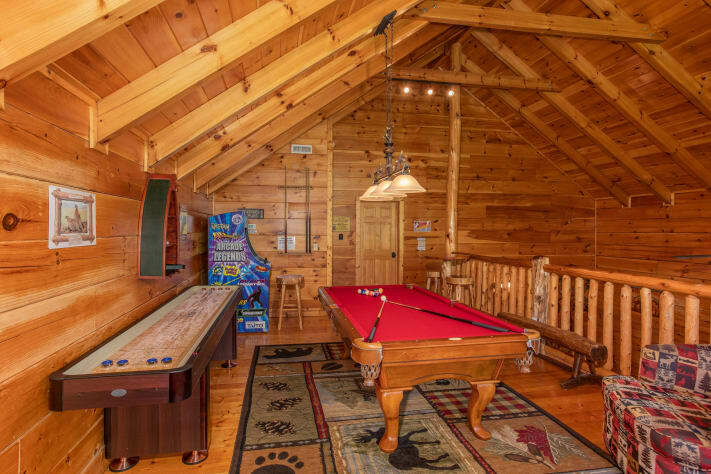 Walk upstairs from the vaulted living room with stone / gas fireplace and luxury furnishings to a HUGE L-shaped lofted game room with sleeping space for extra guests and an array of games including a pool table, multi- arcade, air hockey, foosball, and more! When you've worked up a sweat gaming, just head down to the community pool to cool down. 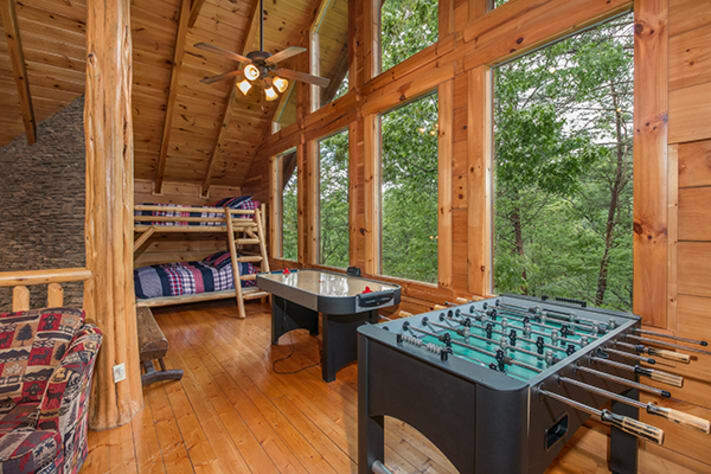 This cabin has it all! 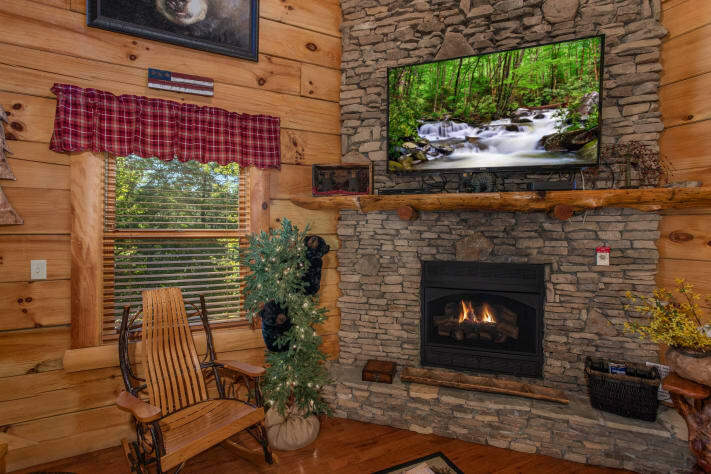 Conveniently located in the Smoky Cove log cabin resort in scenic Walden's Creek, the home is close to all the attractions, shopping, and dining in Pigeon Forge. 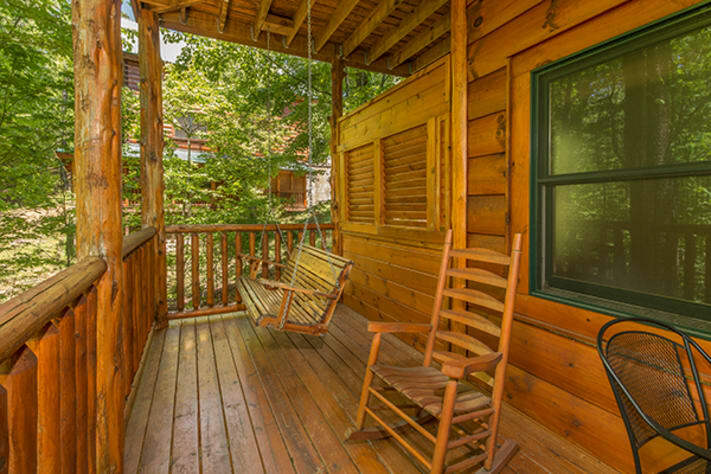 Find paradise on your next trip to the Smokies! 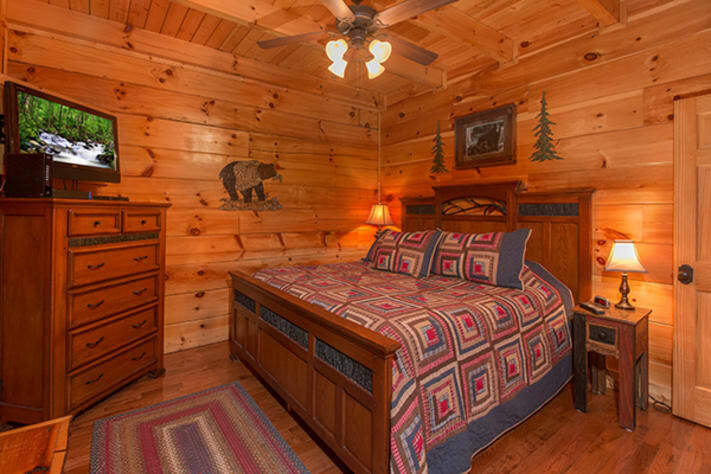 Call today and reserve your stay in the one of a kind - BEARFOOT PARADISE! 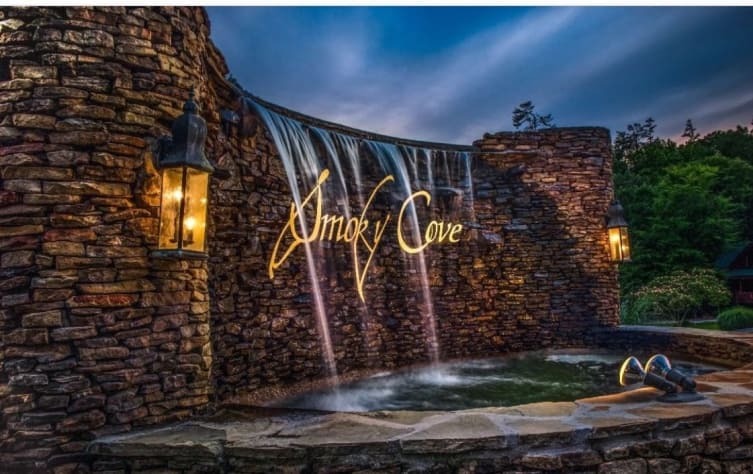 Location offers access to two entrances to the Smoky Mountains National Park, Tanger Outlet Mall, Dollywood, Island in Pigeon Forge without Parkway driving. There is ample parking for a minimum of 4 cars. More parking on the street. 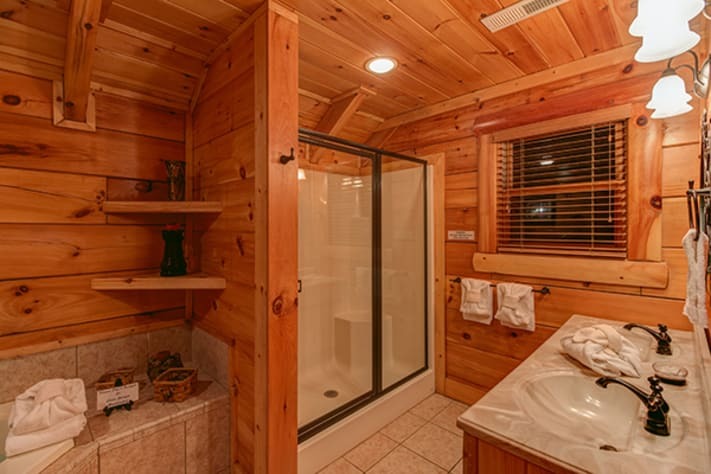 A great cabin for the Pigeon Forge Rod Runs and other Car Shows. We really enjoyed our stay and will make an effort to be there again next year. We will never be able to Top it!! 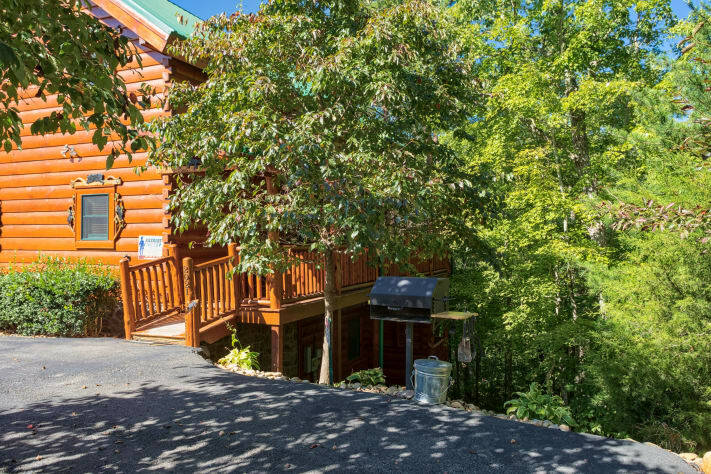 We just returned home from a week and a half stay at Bearfoot Paradise cabin in Pigeon Forge. It was our Christmas gift to our family and I don't know how we will ever be able to top it! 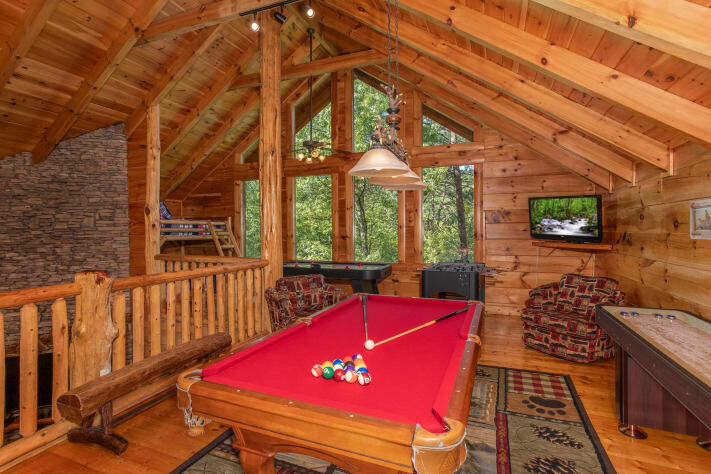 Everything about the cabin was perfect. There were 8 of us and we had plenty of room to spread out. 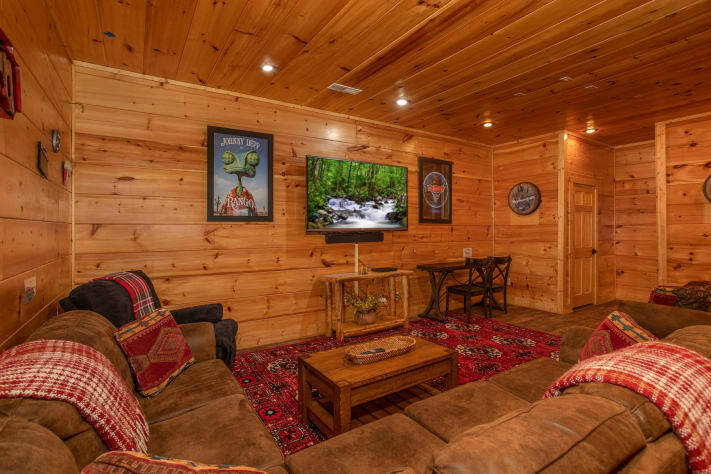 We loved watching movies on the big tv in the basement. 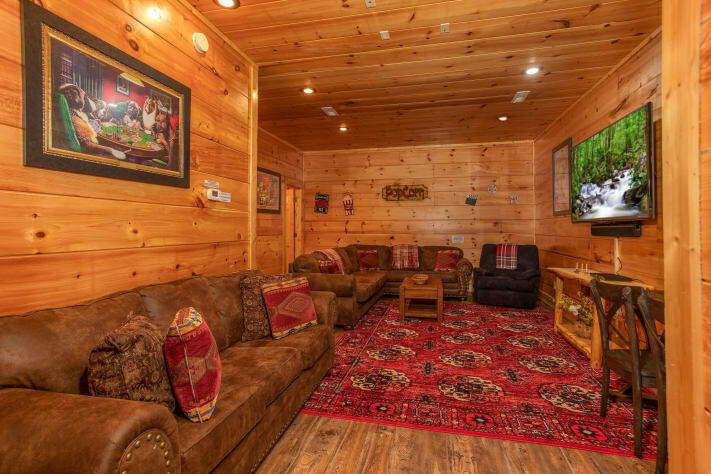 The furniture was comfy and perfect for lounging. The game room was a big hit and we found out that our grandson is pretty darned good at foosball! We brought extra cooking items, etc. 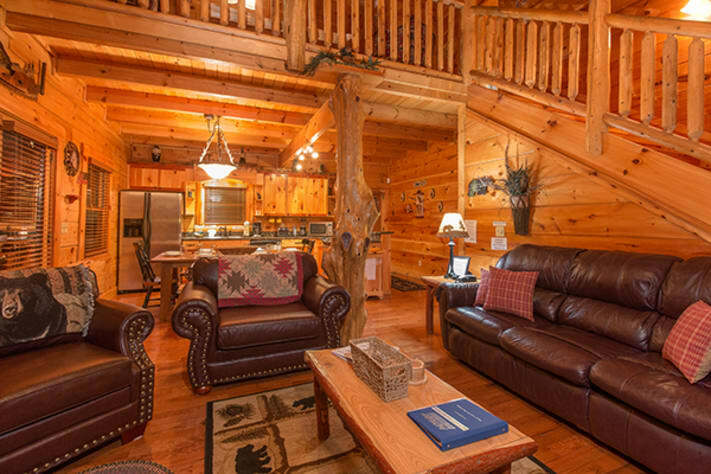 but the cabin is so well equipped that we didn't even unpack the things we brought. We were able to sit at the big table and have every meal together. The table also was perfect for playing several games of dominoes! 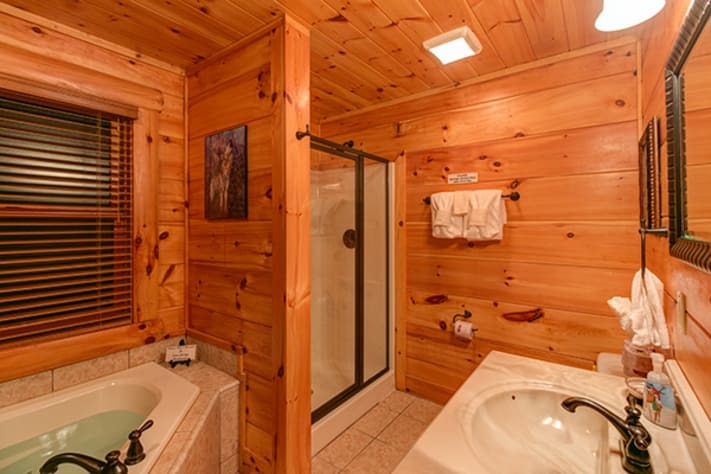 We all had our own bathrooms which was a huge plus for so many people. 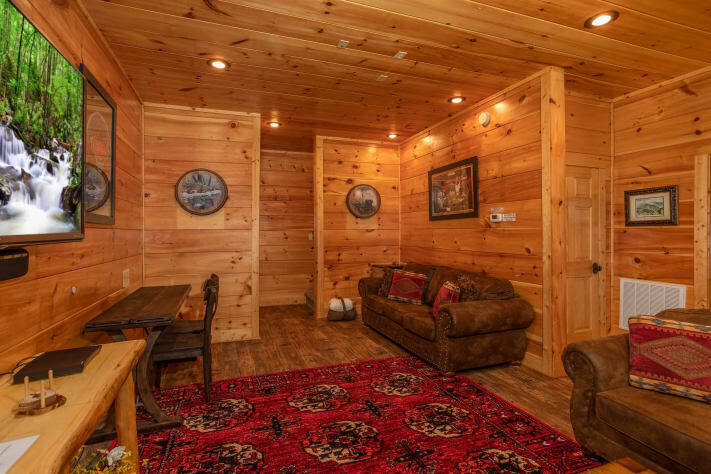 It was our third cabin rental and Bearfoot Paradise far exceeds all of the others! 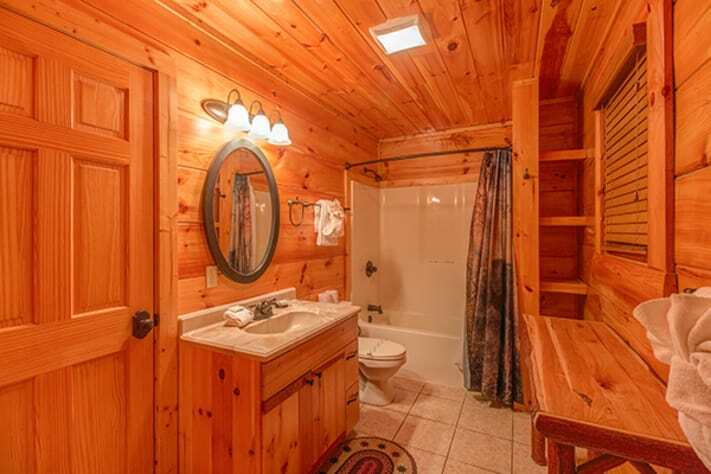 Pat is very accommodating and I would highly recommend renting from her. 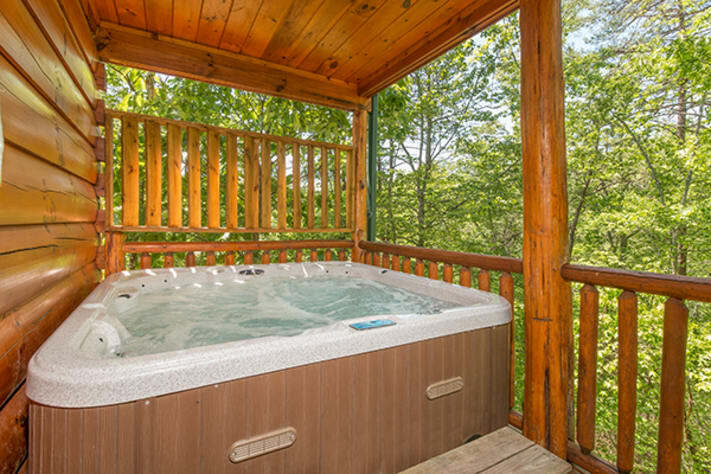 It is obvious that she strives to make your stay as hassle free and relaxing as possible. 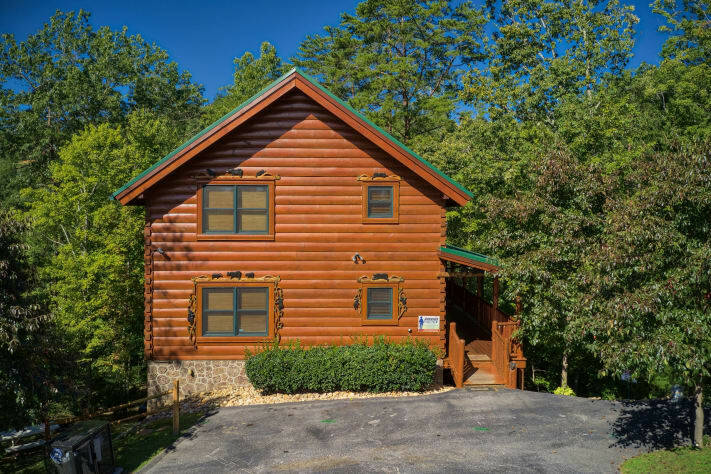 It was honestly the easiest, most relaxing vacation we have had to date and we will absolutely return to Pigeon Forge and rent a cabin from Pat and her husband again! 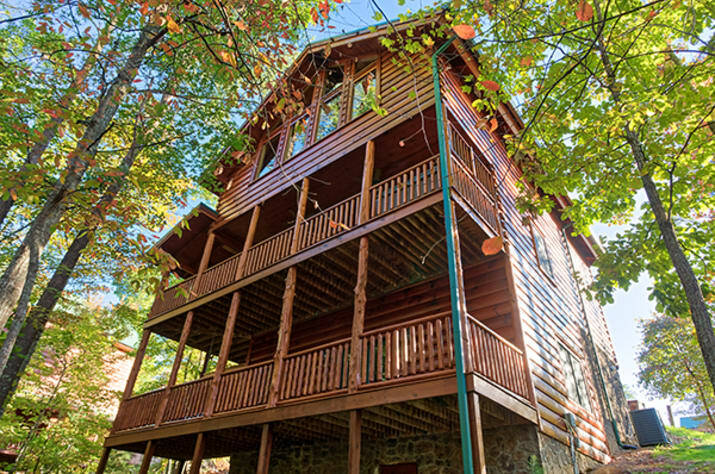 We loved the cabin!! 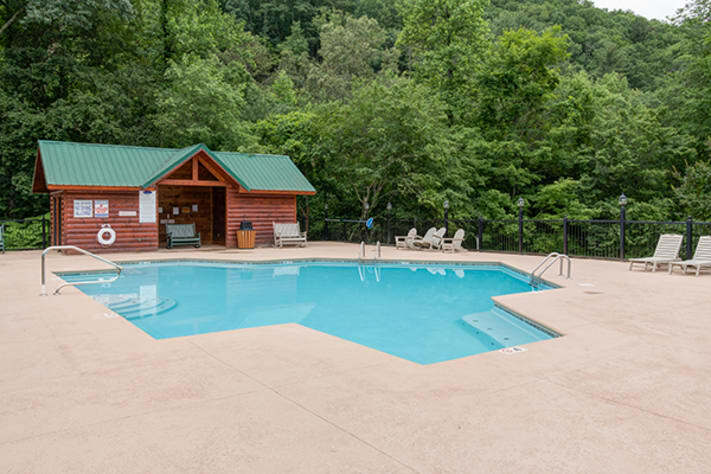 Everything was great, the beds were comfortable, the kids and adults had a fun in the game room, enough bathrooms for everyone, kitchen was perfect, loved the level parking, going to and from the parkway was an easy drive no steep roads. 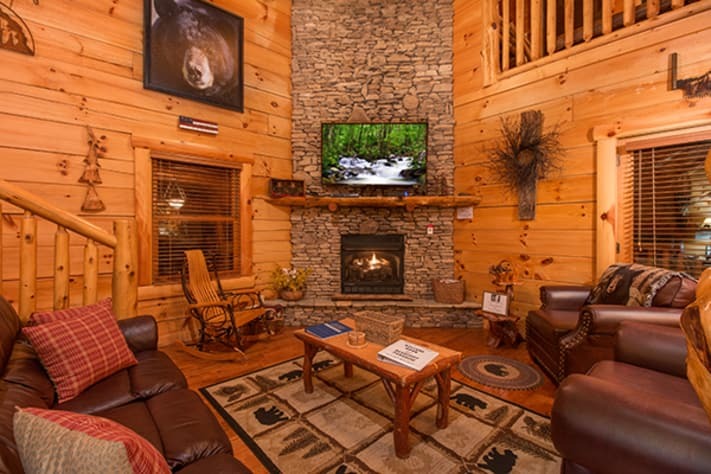 Bearfoot Paradise is the best cabin we have stayed at. We also were fortunate enough to meet Pat and Don while we were there. Thank You, we had a great vacation!! 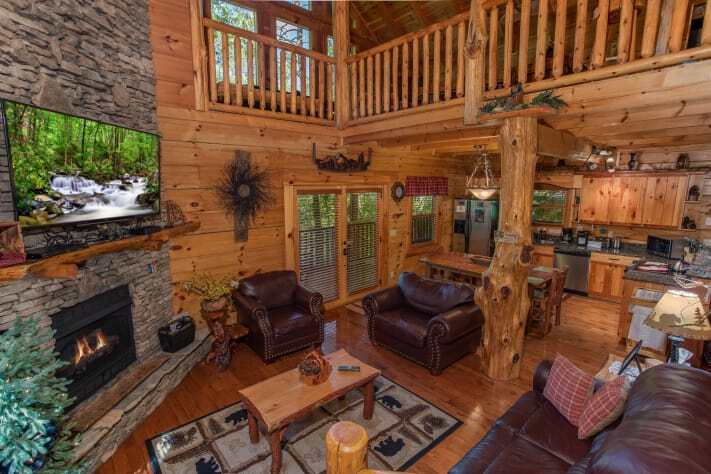 Loved ,Loved this cabin!!! It was super clean and family friendly ! I can not say enough good things about it . We would definitely stay here again and look forward to our next trip !! !